Service is a cross curricula project that invited students, teachers and artists from Chelsea Community Hospital Schools to explore the history of the green Cabmen Shelters through Art, Design and Technology, History, Maths and English. 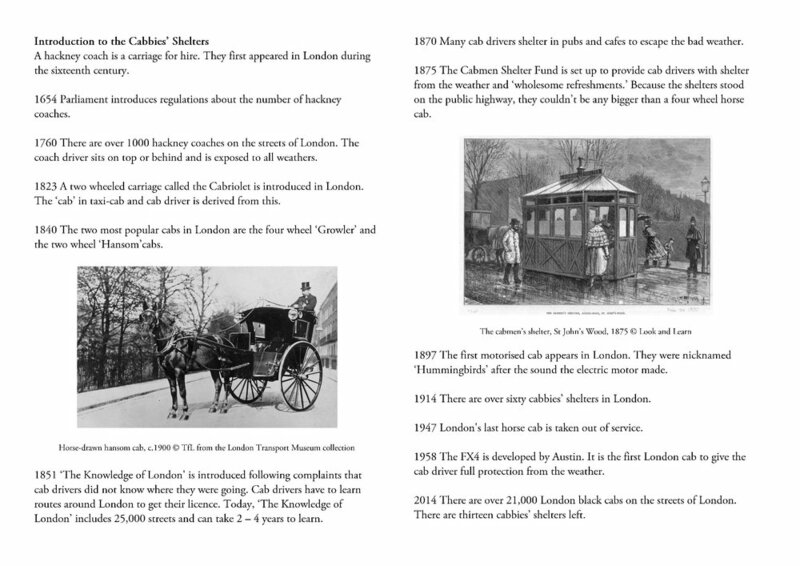 Pulling on a wide range of sources from visiting the shelters themselves and researching the history of the cab trade in London to finding blogs and videos online, students, teachers and artists explored their own connections to the cab trade today, wrote stories and drew plans and designs that sparked multiple points of view and the expression of new ideas. This project was led and devised by artist Victoria Turnbull with Shaun Dolan, artist in residence at Chelsea Community Hospital School and Nicola Frankcom and Melissa Hind at St Mary’s Hospital as well as with over 100 students, teachers and staff at Collingham Family and Young People Centre, Chelsea and Westminster Hospital, Brompton Road Hospital and St Mary’s Hospital, Paddington. 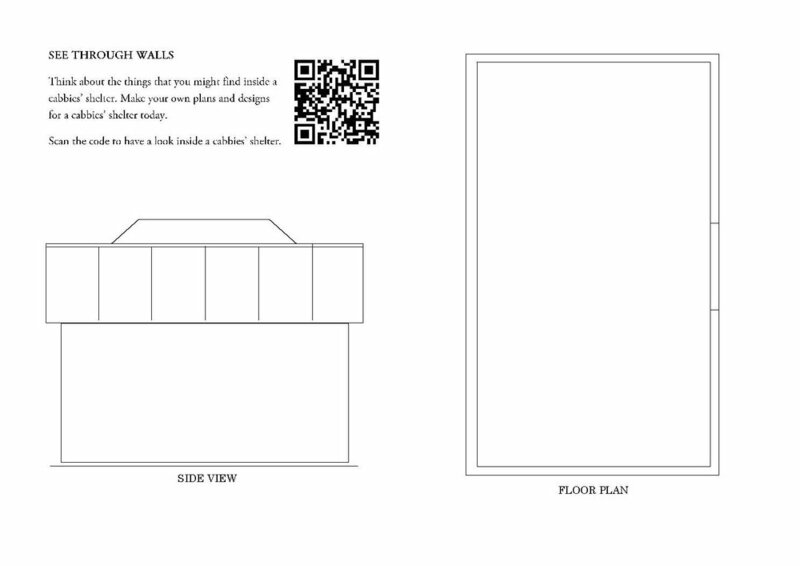 An activity guide about the shelters was developed by teachers, gallery educators and artists from Chelsea Community Hospital Schools, St Aidan’s Primary School, CET and the London Transport Museum, originally available at the welcome desk at the London Transport Museum, is now available for download here. Written and illustrated by artist Victoria Turnbull, the resource brings together ideas and activities from the project and is designed as a flexible guide for families and schools. 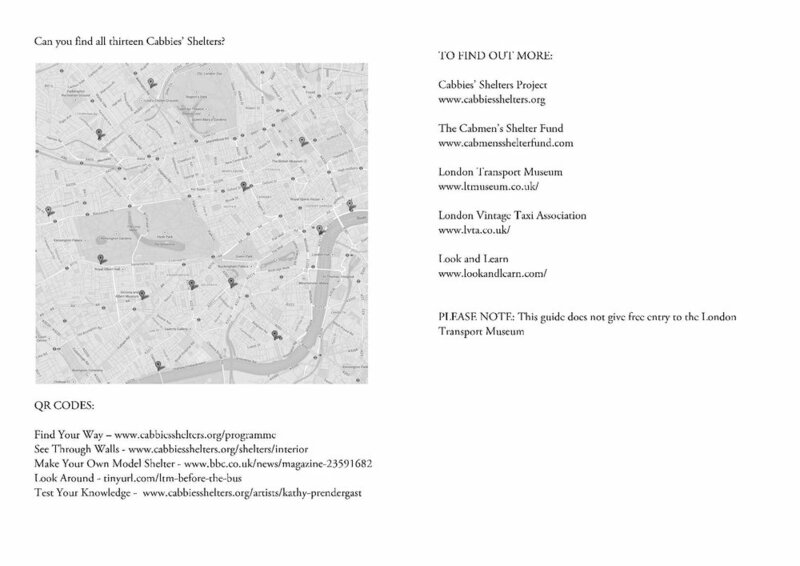 In September and October (2015) a series of yellow QR codes were found on each of the 13 Cabbie Shelters across London linking them to further oral histories, photographs and artwork from across the whole programme.